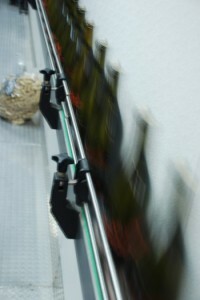 Bravo Bottling is a family-owned business built on 30 years of winemaking experience, based in Sonoma County, CA. We’re proud to bring our attention to detail, hard work and devotion to getting things right to the wine bottling business. You can count on us to deliver bottled wines that reliably reflect your devotion to your wine. From beginning to end, Bravo utilizes the latest in technology and ultra precision equipment. Our commitment doesn’t stop there. We know how important it is to have the best equipment in the cleanest environment and have built our truck with that purpose. We know how valuable your product is. With our process for getting rid of debris from sterilized glass, double nitrogen sparging and a third nitrogen treatment, we make sure your bottled wine reflects your skill and your vision for your finished wines. Corks? Screw Caps? What’s your pleasure? As the great debate rages on, we’ve taken steps to let you decide what you want to do. Bravo Bottling handles both corks and screw caps. Should you choose to use screw caps, decide also to go with the top technology is screw cap safety.